This resonates with me, because I sense a theme at the elementary level. That theme is focused on teaching students how to build something. Telling them how to build something. I hear the following statements frequently. I want my students to learn how to build a slideshow. I want my students to learn how create a spreadsheet. I want my students to learn how to format a business letter. I get it. There is a laundry list of things for students to build. And, there are a variety of artifacts that students should have in their portfolio to meet grade level, or common core standards. However, I question what students learn from a lesson in which they are taught, exactly, how to build something. Further, do the students even care about what they may learn? 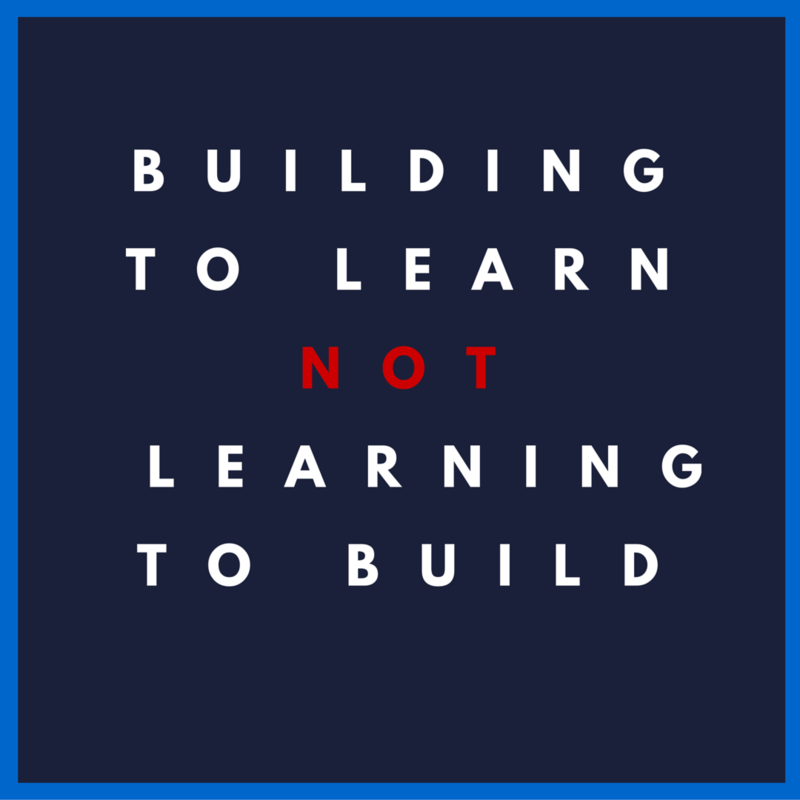 Students should be building to learn. Certainly, the students may need some basic instruction surrounding the guidelines of a digital assignment. Students may need a quick tutorial on certain software functions. But, watch how quickly they engage when they are allowed to build something on their own. Please, let the students build to learn. Let them make mistakes. There's always a Control+Z option. Let them collaborate, and build with each other. If they're building something, they will learn.